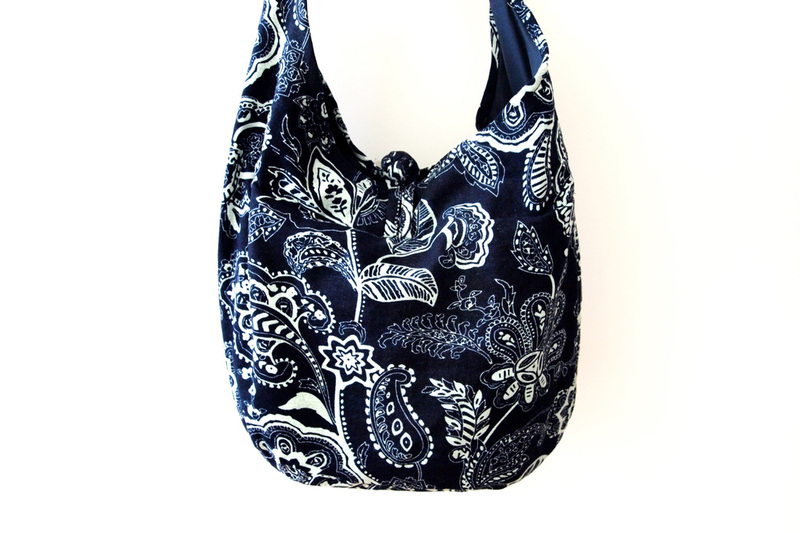 This large cross-body bag is great for everyday use. 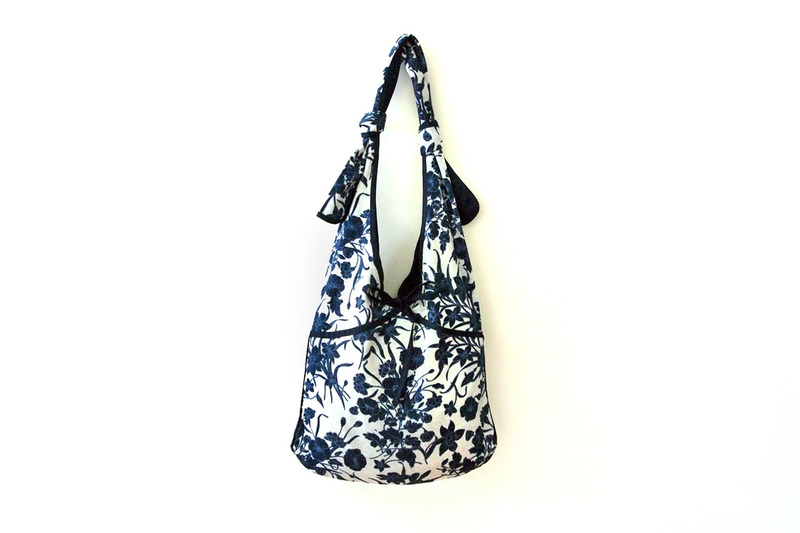 It features navy blue illustrated floral prints on a white background. 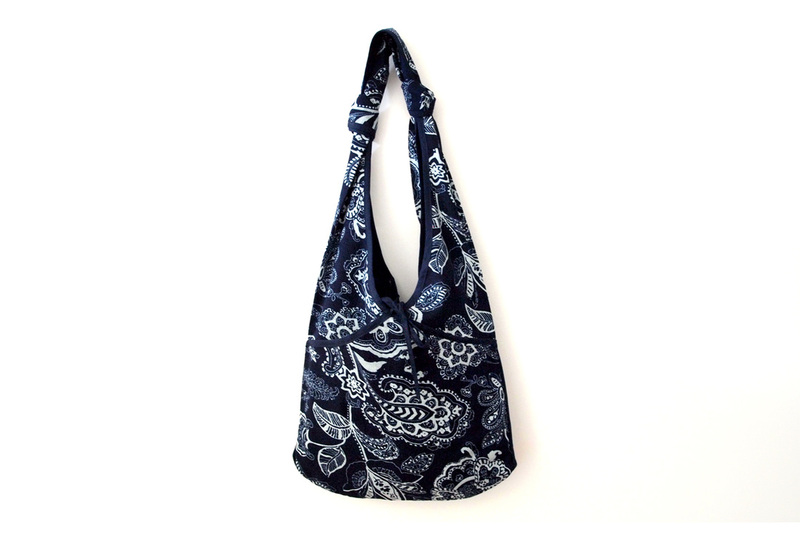 The spacious bag area with a wide opening means your items are easily accessible. The bag also zips up to ensure your things are safe and sound. With tie-up straps, you can adjust this bag to suit any height.